In a rerun of 2017, Bhutan looks all set to skip the grand Belt & Road Initiative (BRI) conference in Beijing scheduled for end of this month. Bhutanese foreign ministry officials say the kingdom’s government has already decided not to attend this conference which is likely to be participated by 100 countries including almost forty heads of state. They said a formal communication will soon be made to China expressing inability to attend the conference. Two years ago, Bhutan had joined India in skipping the inaugural BRI conference in May 2017. That provoked China to unleash a military incursion into Bhutanese territory at Doklam, compelling the Indian Army to come to Bhutan’s defence and provoking a 73 day eyeball-to-eyeball military standoff. The situation normalized only after the leadership of India and China intervened at highest level. While India has rejected China’s invite for Belt and Road Forum meet this time, most of its neighbours including the Maldives, Sri Lanka, Nepal and Bangladesh have confirmed participation in the event. In the rundown to this month’s BRI conference, China intensified it’s engagement with the new Bhutanese government in an effort to ensure its participation. The Chinese feels that if Bhutan joins the conference to diversify its development funding base and economy, it would be the first effective step to wean the tiny kingdom away from India’s sphere of influence. If that happened, the next step would be to push for establishing formal diplomatic relations with the opening of a Chinese embassy in Thimphu and a Bhutanese embassy in Beijing. At the moment, only India and Bangladesh has embassies in Thimphu. Bhutan boycotted the first Forum meet in 2017 too, aligning itself with India which sees BRI as undermining its sovereignty through the China-Pakistan Economic Corridor that passes through Pakistan controlled Gilgit-Baltistan region of the state of J&K. China has stridently wooed Bhutan in the recent months with regular visits to Thimphu by Chinese ambassador to India Luo Zhaohui. China’s vice foreign minister Kong Xuanyou also visited Bhutan last year. Bhutan though has been cagey about bilateral exchanges with China. A press release issued after Kong’s visit merely said that issues of mutual interest were discussed. 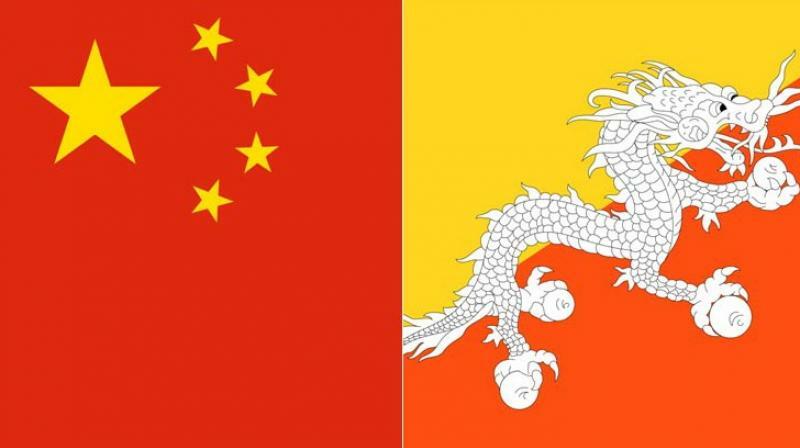 China though had said in a statement that it respected Bhutan’s independence, sovereignty and territorial integrity, alluding to its reservations about a treaty that makes India responsible for conduct of Bhutan’s defence and foreign affairs. “China welcomes Bhutan’s active participation in the Belt and Road Initiative and sharing China’s development dividend,” the Chinese foreign ministry had said in a recent statement. Ambassador Luo had last visited Bhutan in February this year when he was accompanied by a cultural delegation from China. India closely monitors Bhutan’s negotiations with Beijing on their border dispute and it is of concern to the government that China has now secured effective control over much of Doklam. Bhutan’s Doklam is located dangerously close to the Siliguri Corridor, which connects India’s Northeast to the mainland.